1. An outlay of Rs 2,480 crore is proposed for 2010-11 for development of roads. 3. Under the Jawaharlal Nehru urban renewal mission, Maharashtra will construct 75,000 dwelling units in 2010-11 and an outlay of Rs 1,240 crore and Rs 300 crore have been proposed as the Centre’s and the state’s share, respectively. 4. Four laning of Mumbai-Goa national highway to be completed by 2014. 5. A special project of Rs 189 crore to construct roads in the Naxal-infested Gadchiroli and Gondia districts has been okayed by the Centre. 6. A sum of Rs 7,366 crore has been earmarked for completing the on-going projects in the irrigation sector, and a special provision of Rs 650 crore has been set aside, following the governor’s suggestion, to remove the physical backlog in Amravati, Akola, Washim, Buldhana and Ratnagiri. 2. The state government has recently sanctioned the extension of the Uran gas project which will add about 1,200 MW power in the next three years. 3. Land acquisition work for the Rs 8,508 crore Dondaicha thermal power project, which is expected to generate 1,320 MW power, is underway and the project will be on stream by 2014-15. 4. Vidarbha will get a massive Rs 3,248 crore in 2010-11 for its irrigation projects, while Marathwada’s share will be Rs 973 crore. 1. There are plans to make a massive investment in the agro-marketing sector through a slew of new schemes. With the assistance of the international fund for agricultural development, the ‘Convergence of Agricultural Interventions’ project is being implemented in the six Vidarbha districts at an investment of Rs 593 crore. 3. Terminal market complexes will be set up at Mumbai, Nagpur, Nashik and modern agro-market projects at Basmatnagar, in Hingoli district. 2. A Rs 300 crore plan to set up computer laboratories in 2,500 secondary schools in the next five years. 3. Rs 5 crore for a proposed performing arts university in Pune. 4. Rs. 35 crore has been proposed for the year 2010-11. 5. During the year 2010-11 as pilot project Government intends to start sub-centres at Satara, Nanded, Jalna and Raigad Districts. For this purpose provision of Rs. 2 crore is proposed. 1. Rs 494 cr for developing places of pilgrimage. 2. The state government has introduced a slew of projects for Maharashtra’s popular pilgrim centres — a master plan of Rs 315 crore for the fabled Bhavani Mata shrine at Tuljapur; Rs 681 crore for the development of Dehu, Alandi, Pandharpur, Bhandaradongar and Palkhi Tal. 1. 1% VAT on price of flats One-time motor vehicle tax on autos and black-and-yellow taxis. 2. Relief in luxury tax to small hotels and lodges. No tax on daily rent up to Rs 750 Concessional VAT (5%) for raisins, currants and tea continues. What's in the budget 2010 for MSME's ? 1. Extension of existing interest subvention of 2% for one more year for exports covering handicrafts, carpets, handlooms and small and medium enterprises. 2. High Level Council on Micro and Small Enterprises to monitor the implementation of the recommendations of High-Level Task Force constituted by Prime Minister. 8. Remove bottlenecks in their development. 3. The corpus for Micro-Finance Development and Equity Fund doubled to Rs. 400 crore in 2010-11. 4. National Social Security Fund for unorganized sector workers to be set up with an initial allocation of Rs. 1000 crore. This fund will support schemes for weavers, toddy tappers, rickshaw pullers, bidi workers etc. 5. Limits for turnover over which accounts need to be audited enhanced to Rs. 60 lakh for businesses and to Rs. 15 lakh for professions. 6. Limit of turnover for the purse of presumptive taxation of small businesses enhanced to Rs. 60 lakh. 7. To facilitate the conversion of small companies into Limited Liability Partnerships, transfer of assets as a result of such conversion not to be subject to capital gains tax. 8. To ease the cash flow position for small-scale manufacturers, they would be permitted to take full credit of Central Excise duty paid on capital goods in a single installment in the year of their receipt. Secondly, they would be permitted to pay Central Excise duty on a quarterly, rather than monthly basis. 9. Reduction in central excise duty on corrugated boxes and cartons from 8% to 4%. 10. Enhancement of weighted deduction on payments made to National Laboratories, research associations, colleges, universities and other institutions, for scientific research from 125% to 175%. 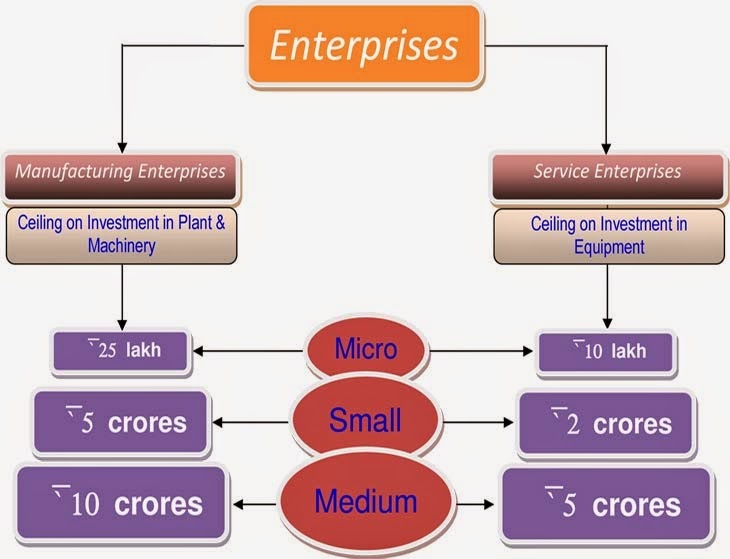 AS PER estimates,the Small and Medium enterprises (SMEs) contribute about 8% of our countrys GDP and provide employment to more than 6-crore people.Therefore,it is important to provide necessary tax and policy support to the individuals/SMEs to ensure overall inclusive growth.This also has been one of the underlying themes of the current years Budget.In this context,the following proposals are worth noting. Under the existing provisions of the Income-Tax Act,1961 (the Act),every person carrying on business is required to get his accounts audited if the total sales,turnover or gross receipts in business exceed Rs 40 lakh in a particular financial year.Similarly,a person carrying on a profession is required to get his accounts audited if the gross receipts in profession exceed Rs 10 lakh. There has been a long pending demand to increase theses limits as they have lost their utility and not kept pace with the changing business reality.In the current years Budget,it is proposed to increase the aforesaid threshold limit to Rs 60 lakh for business and to Rs 15 lakh for profession.This would help reduce compliance burden of small businesses and professionals. Currently,an individual,a Hindu undivided family or a partnership firm,engaged in any business other than the business of plying,hiring or leasing goods carriages and whose total turnover or gross receipts in a financial year does not exceed Rs 40 lakh,could avail of the concessional treatment under the presumptive basis of income taxation.In such case,a sum equal to eight percentage of the total turnover or gross receipts of such business in a financial year is deemed to be the profits and gains of such business chargeable to tax.It is now proposed to raise this threshold limit to Rs 60 lakh. The key advantages are that the tax payer is not required to maintain detailed books of accounts.The records prepared by it are used as the basis for determining the total turnover/gross receipts.Further,the tax payer is not required to pay advance tax instalments,which otherwise are required to be paid on a periodic basis as prescribed under the Act.This helps in better management of their funds during the year. It is proposed that Small Scale Industrial (SSI) units can avail full Cenvat credit on capital goods in one instalment in the year of receipt of such goods.Further,they can pay excise duty on quarterly basis instead of monthly basis. It is proposed that,in case of a company whose total sales,turnover or gross receipts in business do not exceed Rs 60 lakh in any of the preceding three financial years,and it converts itself into a Limited Liability Partnership (LLP),then such conversion would not be regarded as a transfer and hence,not subject to capital gains tax.It is pertinent to note that certain conditions need to be satisfied for availing of this benefit,else taxability would get triggered. It is proposed to allow carry forward and set off of business loss and unabsorbed depreciation to the successor LLP.Other key advantages post conversion into LLP includes exemption from levy of minimum alternate tax (MAT) and dividend distribution tax.Thus,small companies may consider these beneficial provisions. Of course,small businesses require much more support from different stake holders like ease of availability of finance,access to cost-effective technology,effective lower tax cost,etc.Nevertheless,the proposed changes are moves in the right direction from a tax policy perspective and would help reduce compliance and administrative costs for small businesses.